Pick One... 8" 9" 10" 11" 12" 14" 16" 18" 20" 22" 24"
White shirt dog collar with Red bow tie. Collar has front button and d-ring in back for leash attachment. Size is actual size of collar. 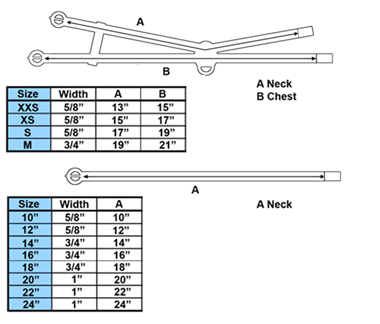 Please add 1"-2" to neck size for a comfortable fit. Bow ties attach with Velcro. Matching cuffs and additional bow ties may be purchased separately. Available for big and little dogs.